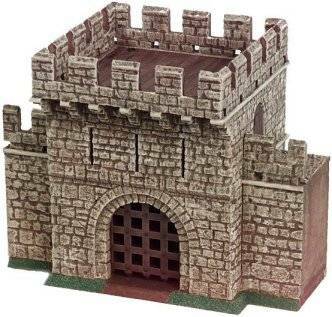 25mm/28mm scale - Resin-Cast for strength and superb detail. Painted as Shown! For dioramas and games with 25-30mm figures. Tower section is 4.5 x 4.5 inches and 6 inches to the top of the crenelations.